"Sorry, I can't do dinner tonight. There's a new episode of House Hunters on." 1. Your DVR is overflowing with old episodes of House Hunters. 2. When no specific location is given, you've learned to assume that a show takes place in Toronto. 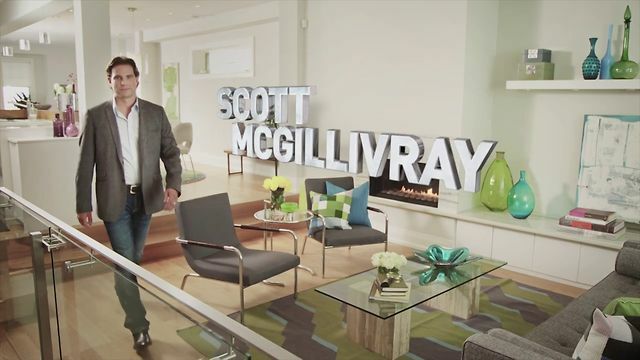 Although HGTV is headquartered in Knoxville, Tenn., many programs on the channel, like Income Property and early seasons of Property Virgins, are actually produced in the greater Toronto area. 3. You think of Chris Harrison as the host of Designer's Challenge, not The Bachelor. 4. You actually know the names of the Property Brothers. 5. And have a favorite between the two. 6. You don't actually care that House Hunters is staged. 7. In fact, you know the secret trick to help you figure out which house they picked. 8. You kind of think David and Hilary would make a good couple. But you know it's never going to happen (because David is married). 9. You still expect to hear Suzanne Whang every time House Hunters comes on. Oh, Suzanne. People miss you. 10. You remember back when David Bromstad was just another Design Star contestant. And now he's its host! 11. You enter the dream home contest each year. 12. You've started to be able to predict home prices in random cities like Fargo. This is a four bed, 2.5 bath. This is a good starter home budget for the region. 14. You were excited to see Income Property expand into an hour-long show. And get a new introduction sequence. 15. You watch HGTV so much that you start to see the same episodes over and over again. 16. You've started to recognize some of the real estate agents. 17. You have a favorite Property Virgin host. 19. You've learned a ton of real estate lingo, like "short sale." So many short sales on these shows. 20. It's become really easy to predict what house hunters will talk about. To this list, add "hardwood floors" and "outdoor space." 21. You wish you could be a part of the Design Star winner's club. 22. You miss old school Divine Design, with Candice Olson. 23. You can't help but judge people's houses when you see them for the first time. "Oh, that's not going to be good for resale value." 24. You sat through the whole special on Spelling Manor. Because even though it was kind of annoying, it was still on HGTV. 25. You think of Jillian from Love It or List It Too, not The Bachelorette. But seriously, what's with all the HGTV/Bachelor(ette) overlap? 26. House Hunters: Where Are They Now? is the greatest thing that has happened to you in a long time. I literally screamed when I first saw a commercial for this. 27. You remember when Toofer from 30 Rock was on House Hunters: Renovation. 28. Knob and tube wiring is your nemesis. How many renovations must you ruin? HOW MANY? 29. You live for Vern Yip's critiques. Even if you don't agree with them. 30. You're willing to forgive the "Holmes on Homes" pun. 31. You've tried to redo your house based on your favorite programs. But you know it's harder than it looks. 32. And you know that no other channel can ever compare.